The real estate investor and life coach is proud to present her best-selling and critically acclaimed book at the 2018 Miami Book Fair. An inspiring and captivating read that encourages readers to experience life in a more joyful and fulfilled way. With her resilience and perseverance, Moneeka is able to live her bliss and incorporate happiness in all areas of her life. She has become one of the most joyful people anyone will ever meet, and wants to share her blissfulness with the world through her book. “Choose Bliss” embraces the fact that bliss is everyone’s birthright; it advocates the kind of happiness that is not just a temporary emotional feeling but a default state of being that anyone can thrive in. “Bliss is a feeling of awe, wonder, being fully present, and fully alive,” says Moneeka. Moneeka chose bliss, not blues, and her success and happiness led her to write “Choose Bliss.” By sharing her practices and strategies to help live a blissful life, she has become of service to others, which happens to be one of her tips to a blissful life. 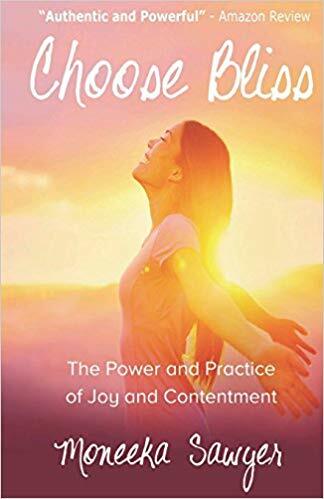 “Choose Bliss: The Power and Practice of Joy and Contentment” is more than just an inspirational and motivational book; it is an exciting and powerful read. It is not just a self-help book; it is a call to action. “Choose bliss” like Moneeka did. Order a copy today through Amazon (https://www.amazon.com/Choose-Bliss-Power-Practice-Contentment/dp/1537593730) and Barnes & Noble (https://www.barnesandnoble.com/w/choose-bliss-moneeka-sawyer/1125048549). Don’t miss the public display of this exciting and powerful book at the upcoming Miami Book Fair on November 11 to 18, 2018 at Miami Dade College. Moneeka Sawyer has often been described as one of the most joyful people you will ever meet. She finds her bliss through helping people live a life filled with meaning, purpose, passion, and joy. She has been coaching in the Silicon Valley for over 11 years and recently authored the book “Choose Bliss” to help people discover their own personal definition of bliss and create a whole new sense of power, energy, and excitement about their relationships, businesses, and their lives. Her expertise has been featured on many media outlets including ABC, CBS, and FOX.